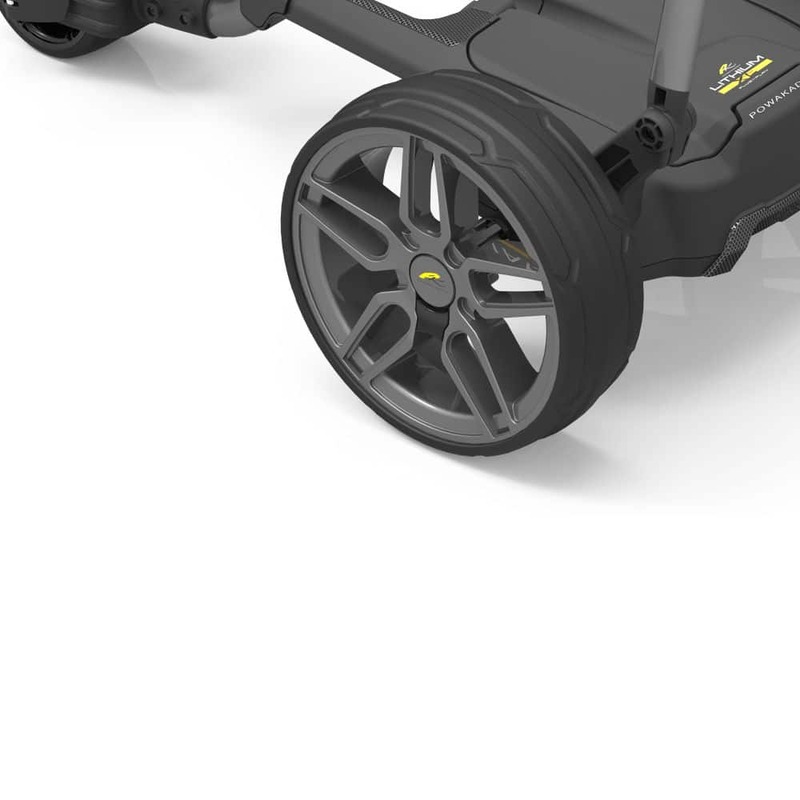 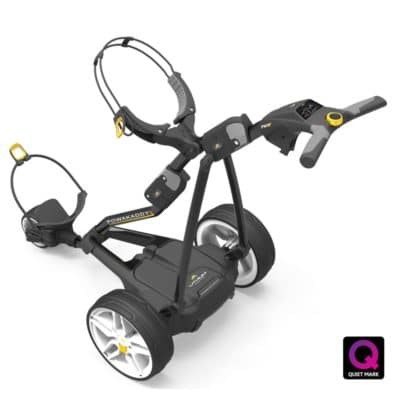 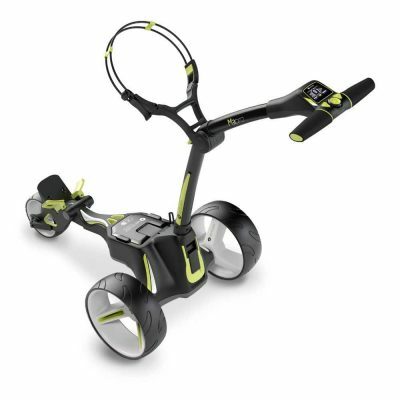 The Powakaddy FW7s GPS is the world’s most advanced electric golf trolley with fully integrated GPS. 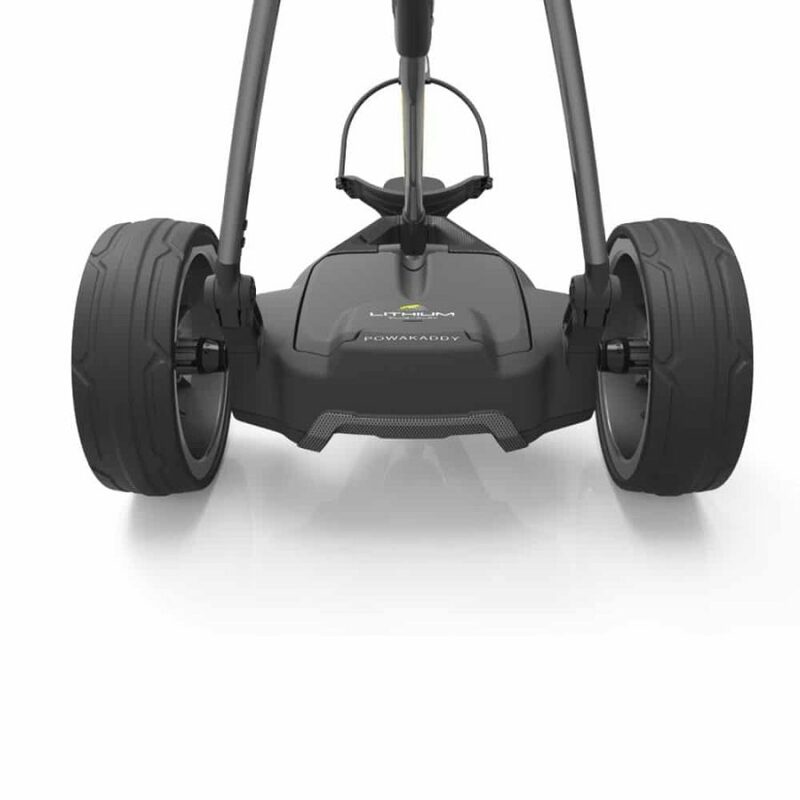 Delivering fast accurate distances to greens and hazards on over 30,000 courses worldwide. 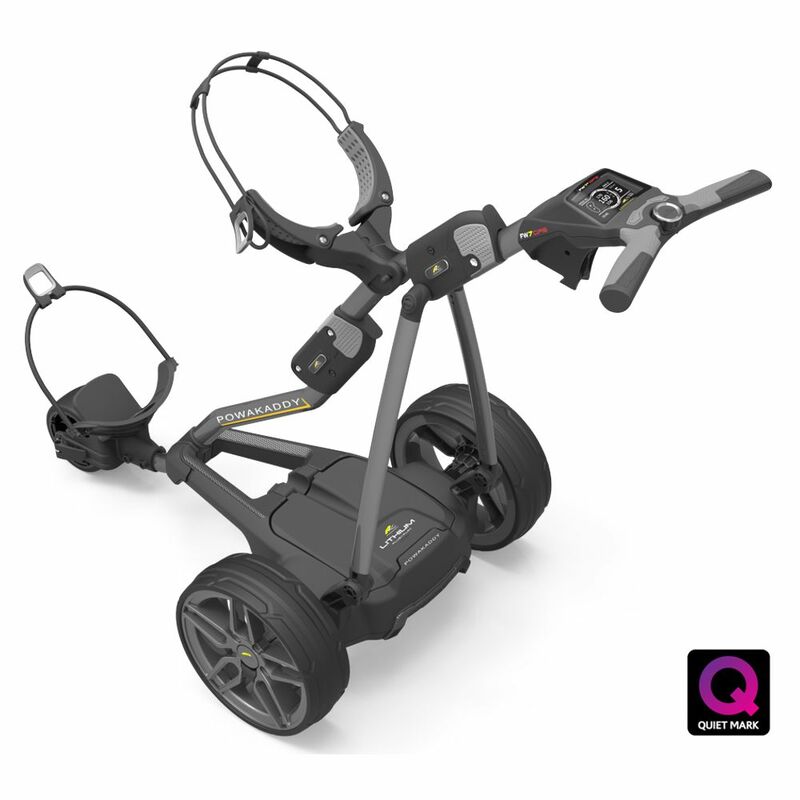 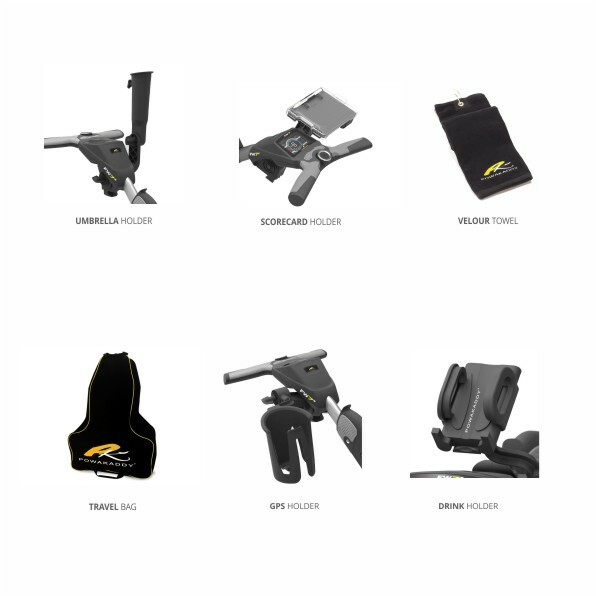 All built into a super-intelligent handle requiring no phone signal or external devices to manage your game. 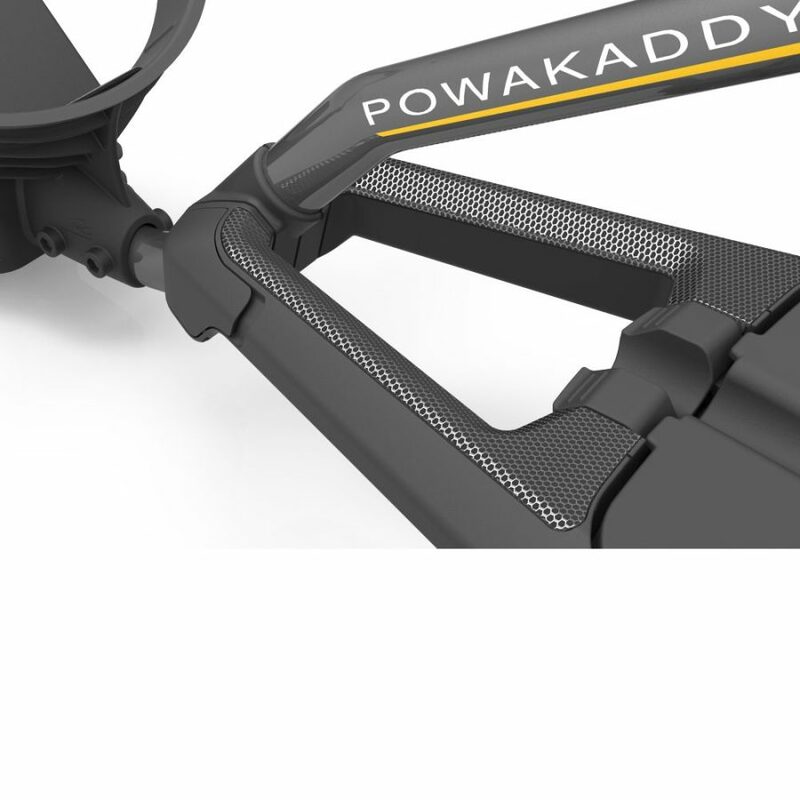 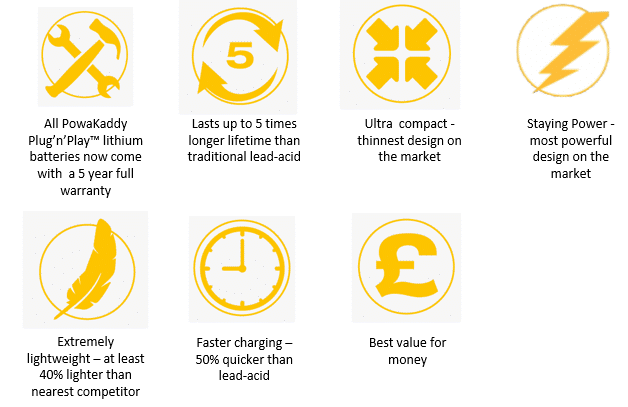 The main new feature is the Plug n Play enclosed lithium battery which slots into the battery tray without the use of any cables and lasts up to 5 times longer than a standard battery. 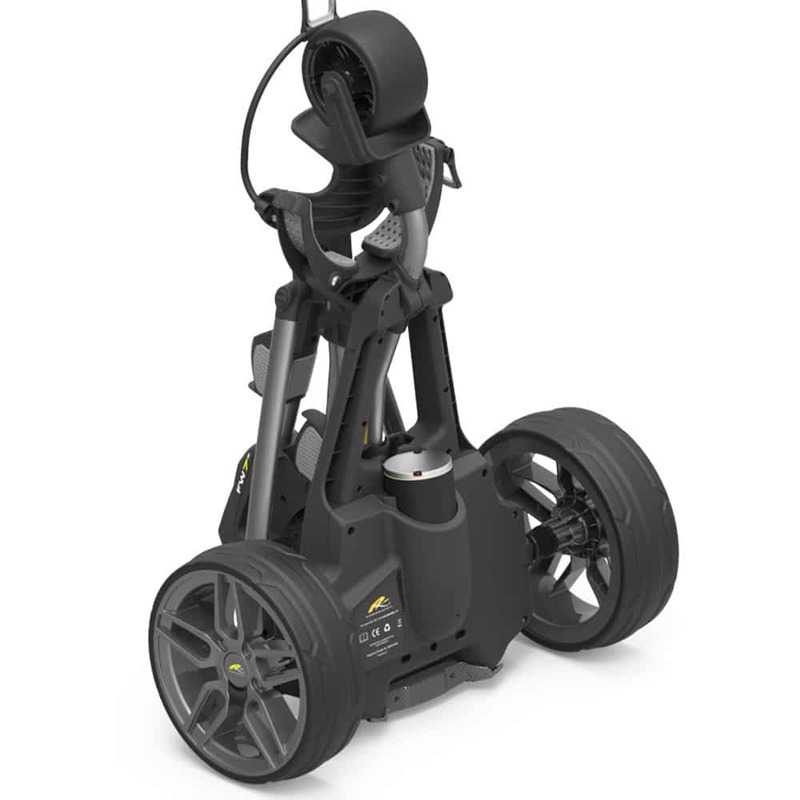 The FW7s includes a digital battery meter and Power gauge as well as a USB port for charging your phones or GPS units whilst on your round. 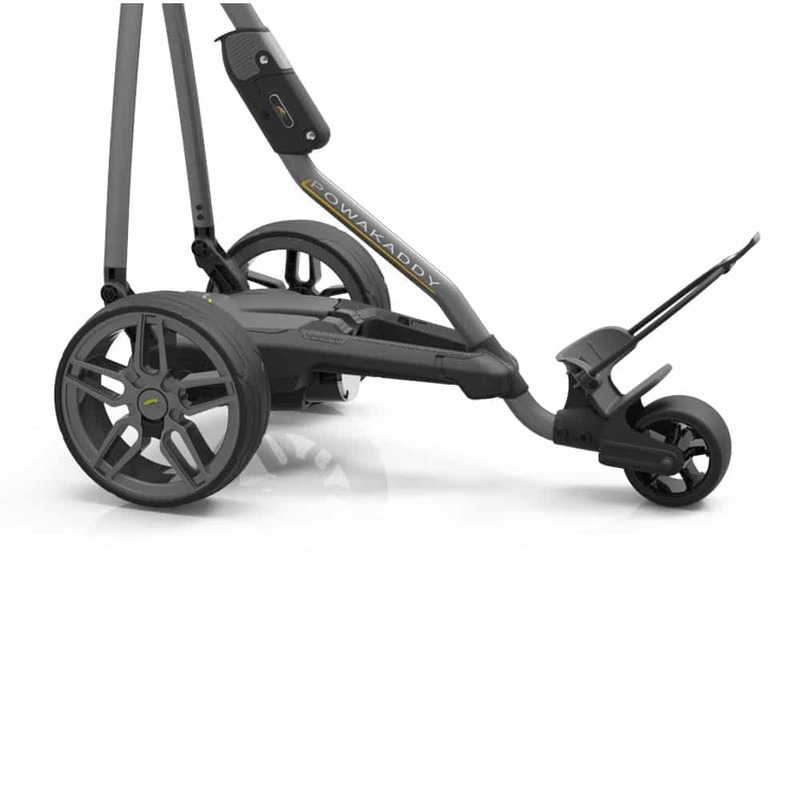 Anti-tamper security pin lock and additional speed display to match your walking speed. 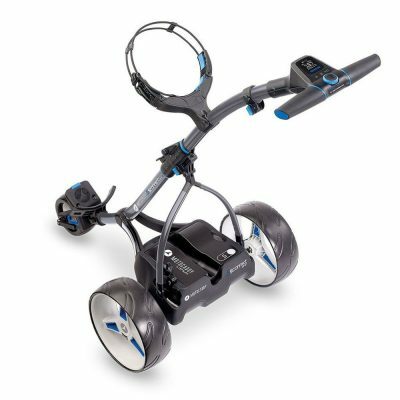 Another feature is the ADF which allows you to set your trolley off at varying distances from 5 to 50 yards and the Distance measure feature which allows you to measure the yardage of your shots during your round. 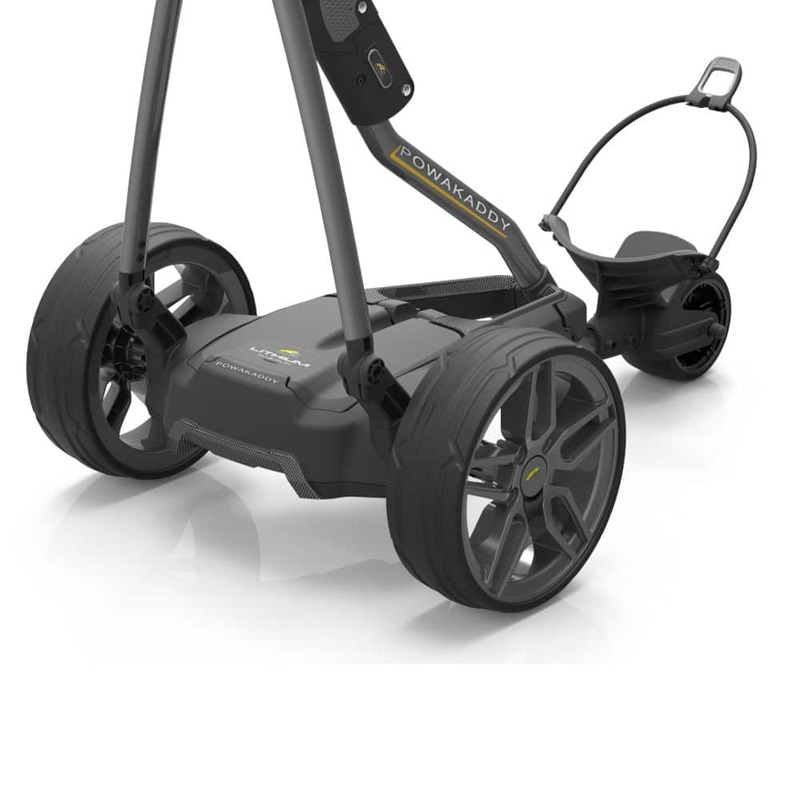 Featuring all the benefits of the award-winning FW7s. 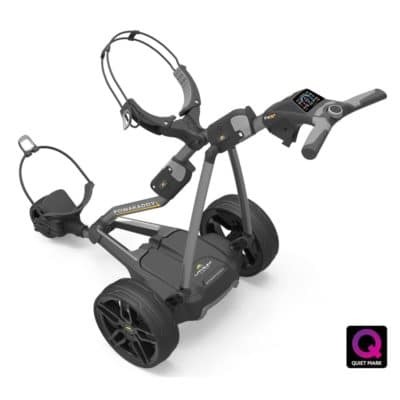 It is packed with technology and has a new 3.5” widescreen display, built-in calorie counter, distance measurement function, a new powerful near silent 230- watt motor and also comes with increased 3-year peace of mind warranty.